The Marvel Cinematic Universe grows just a little bit bigger — and usually a whole lot weirder — with every new movie and TV show that slides in front of our eyeballs. When the original Iron Man came out back in 2008, the world he lived in seemed pretty grounded in reality. The strangest thing that could possibly happen in that film was a rich guy deciding to build himself a suit of armor and become an international vigilante. Then fight another rich guy in some other armor who wanted to be an even worse international vigilante. That's pretty strange, but not out of the realm of possibility, right? We're still waiting for Elon Musk and Mark Zuckerberg to throw down and televise the whole thing on Facebook Live. But since then, we've seen gods, monsters, whole other planets, whole other dimensions, and all sorts of magical hijinks unfold in ways that would make any sane person's head spin. So how has the MCU kept feeling as real and fun as ever? Well, former Marvel Studios head of visual development Charlie Wen has some ideas on that. The man in charge of just about all of the Marvel Cinematic Universe's designs over the past decade sat for an exclusive interview with Looper to talk about how and why Iron Man was actually the perfect superhero to kickstart the MCU as we know it. "What was good with Iron Man is that it laid a foundation for what is tech on Earth," said Wen. "How do we ground it to Earth and to things we understand? Tech is something easier for us [...] We use it every day." He explained that Iron Man's connection with technology is a convenient starting point for audiences to find a connection with a world that looks a lot like our own, but is also full of super-people. 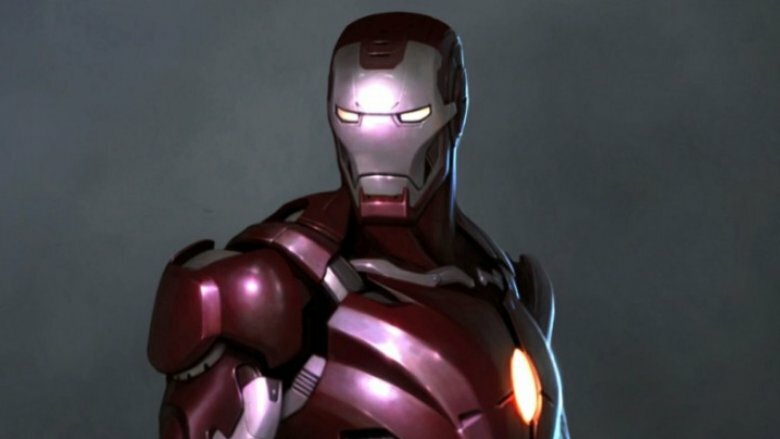 That helpful foundation revealed that, despite Iron Man's then-reputation as a lower-tier comic book character, he was the perfect choice to kick off Marvel Studios' cinematic ambitions. "At the time, most people would have thought, 'Why are you choosing a character that is sort of just a B-character in the Marvel comics world?'" said Wen. "But I think that was a smart move." But technology isn't the only reason Iron Man was such a strong choice for Marvel's first film in a shared cinematic universe. Even though we all use phones and computers every day, very few moviegoers are also jet-setting millionaires. 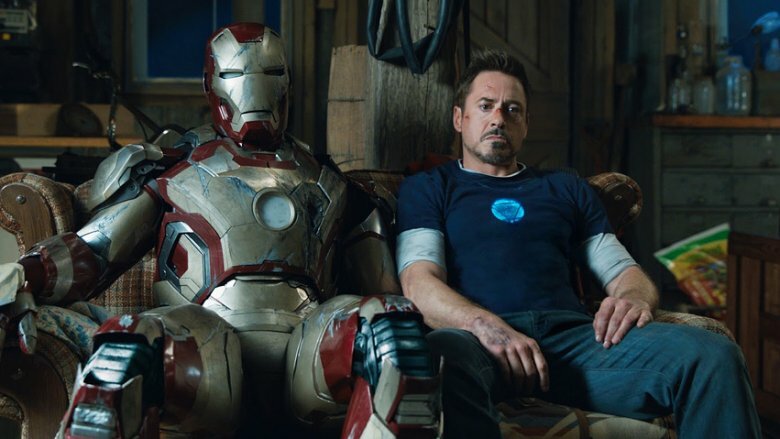 That's why Iron Man's alter ego Tony Stark — and the fact that Robert Downey, Jr. played him — was that other crucial piece of the puzzle to help audiences connect with the film, as well as the world it shows on-screen. "Having Robert Downey in that role was amazing," said Wen. "I mean, he kind of is that character. Then especially 'cause it's all the flaws that he sort of just puts out there, right?" He continued: "How do you make that character and that world more relatable and less scary? It's not a Superman character, where it feels maybe too perfect and too alienating and hard for people to resonate with. It's somebody with lots of flaws. Not all of us have the same kind of flaws that Iron Man did, or Tony Stark, but I think it's so obvious that it makes it safe for anybody to approach." Once Iron Man established the baseline of the nascent MCU's reality, the studio could start to explore bigger, weirder ideas. The next logical step, of course, was to try to get as weird as possible, as quickly as possible. Marvel Studios' third movie was 2011's Thor — which happened to be the first film Charlie Wen worked on at the company as the head of design. "When you're trying to write some kind of story, paint an image, one of the things that you do first is you figure out what your limits are," he explained. "[What's] the farthest you're gonna go, where are you gonna start [...] it's your contrast." That philosophy — determining the contrast — was an approach Wen used while designing all of the MCU movies he worked on, like Guardians of the Galaxy characters Gamora and Drax the Destroyer. As it turns out, Marvel Studios itself wound up doing just that by releasing Iron Man and Thor so close to each other, since they're literally worlds apart. "That was the big thing about laying out Iron Man and Thor. It was one of the biggest contrasts that we could find." You can follow Charlie Wen on Instagram, Twitter, and Facebook.